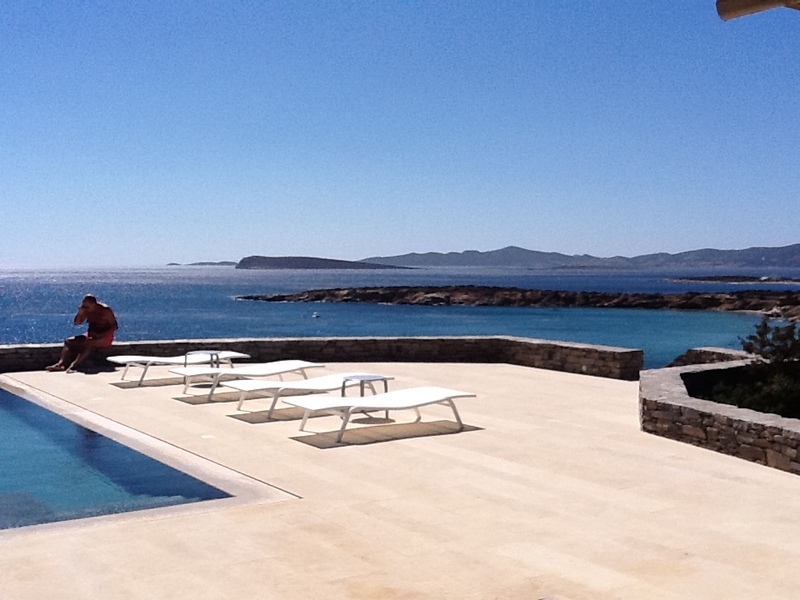 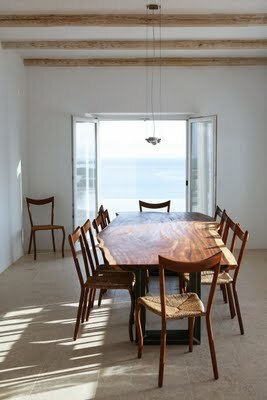 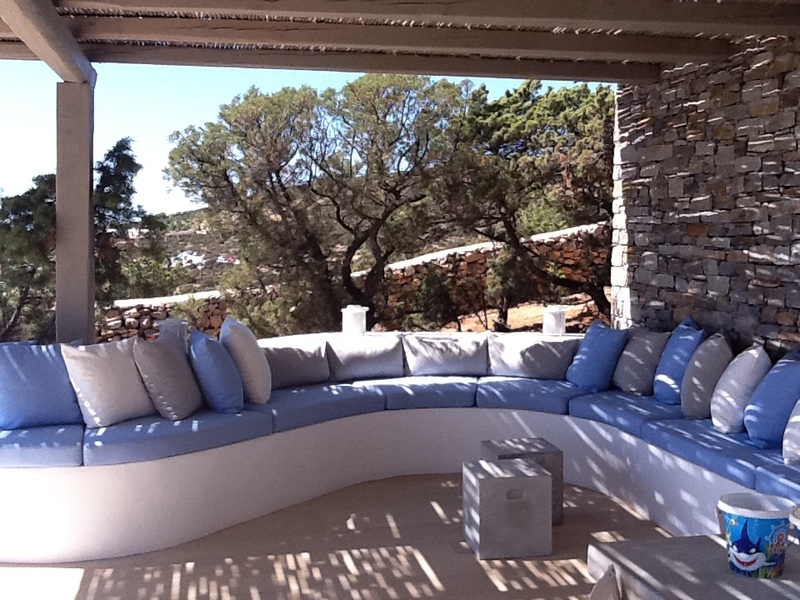 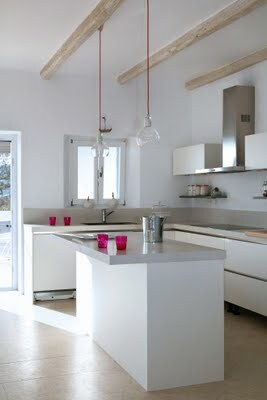 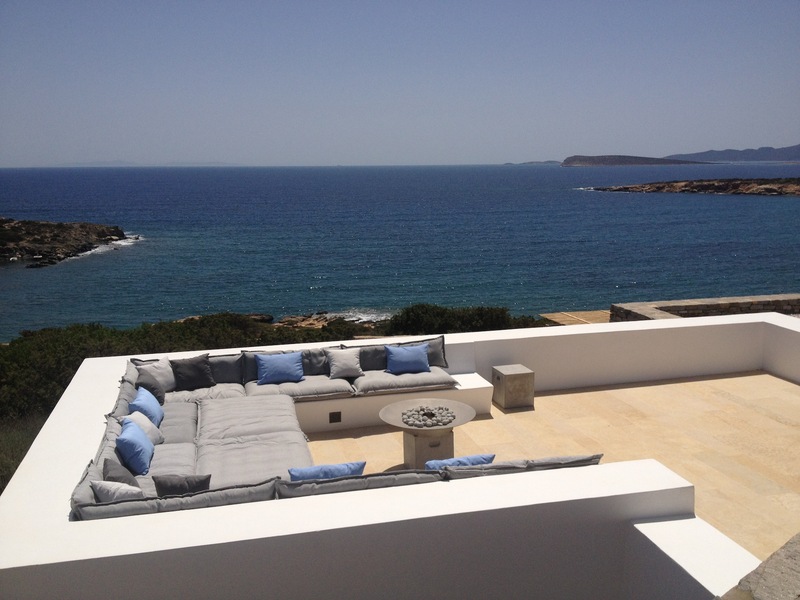 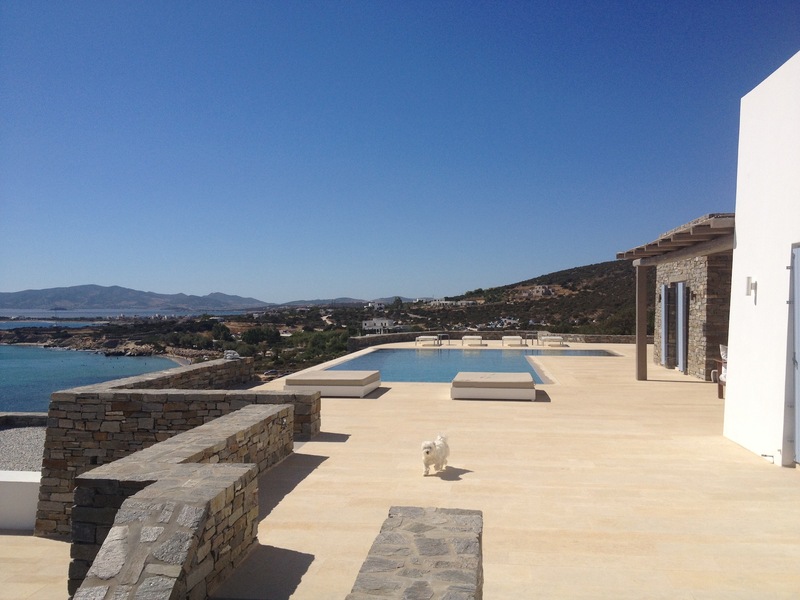 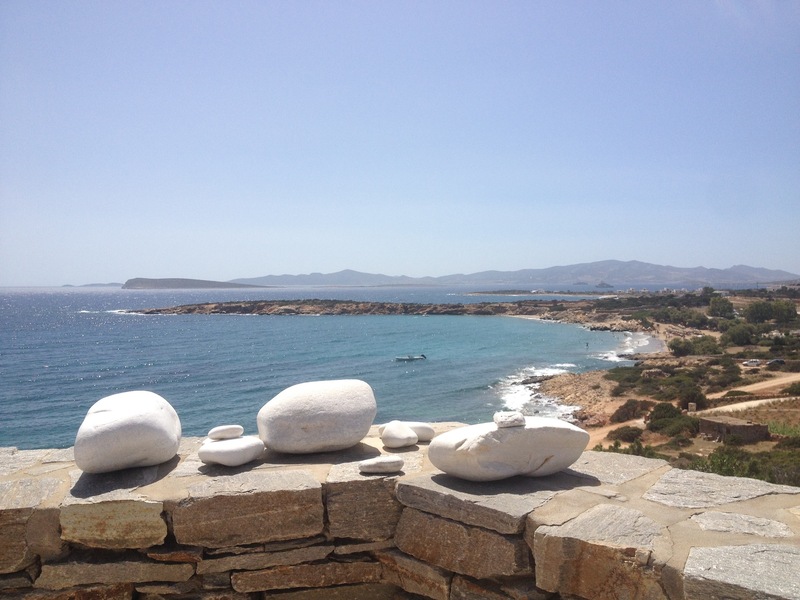 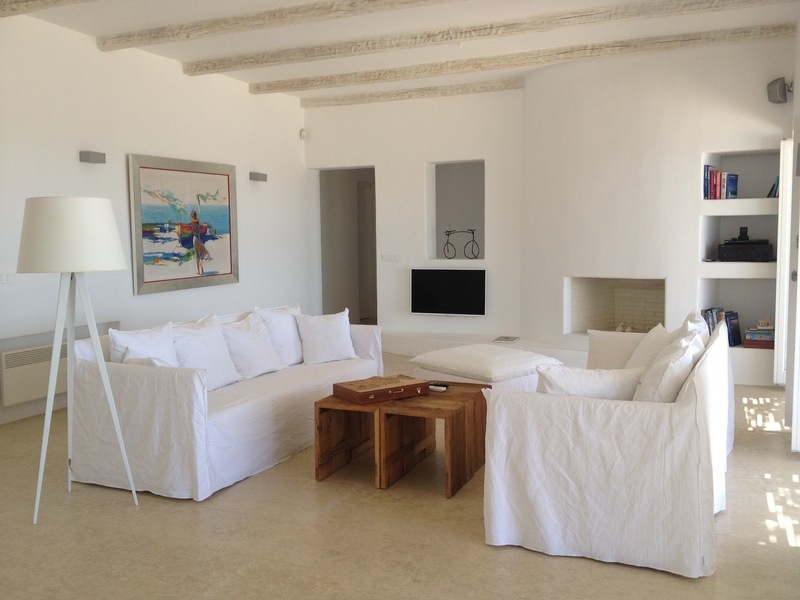 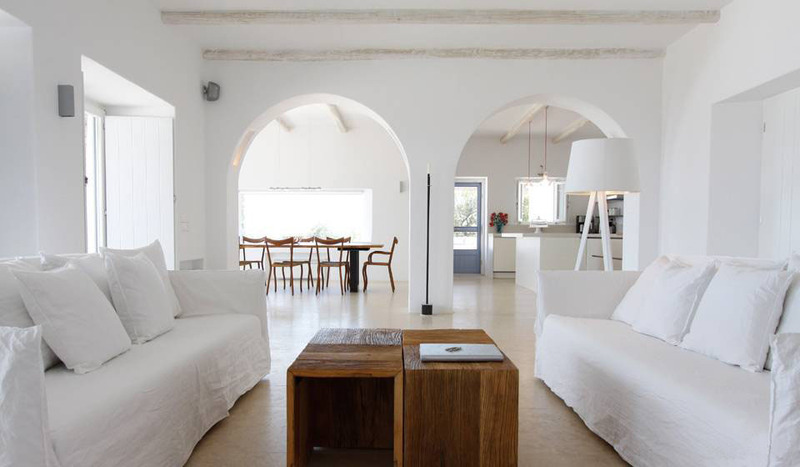 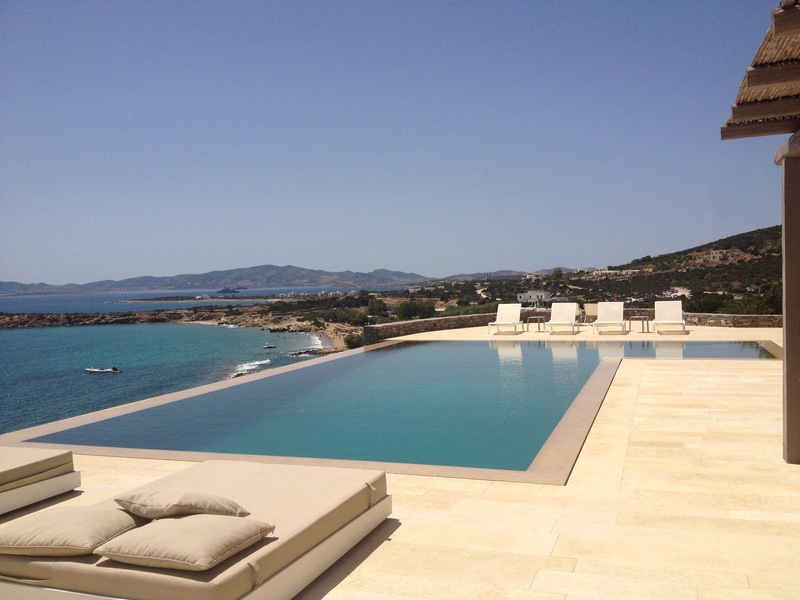 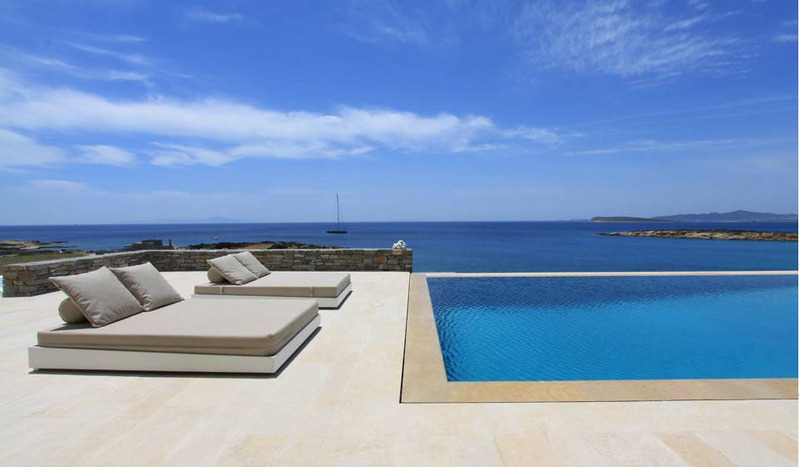 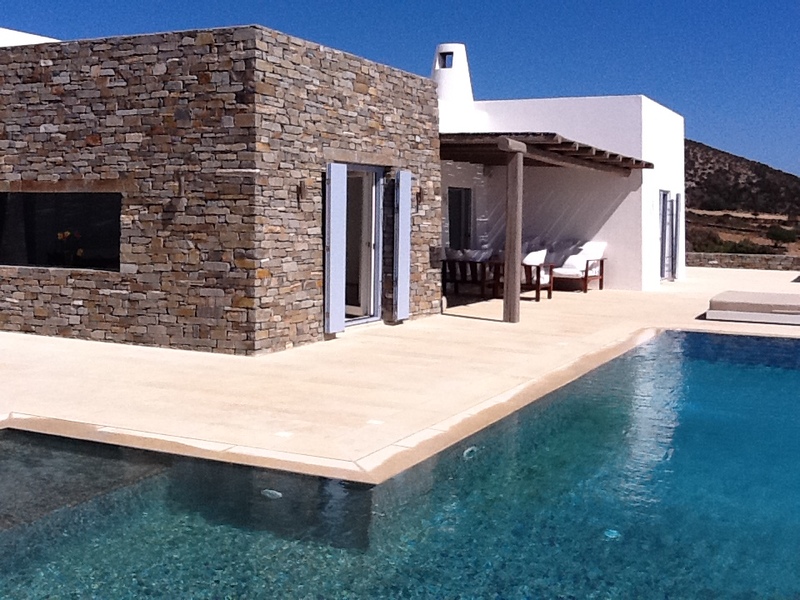 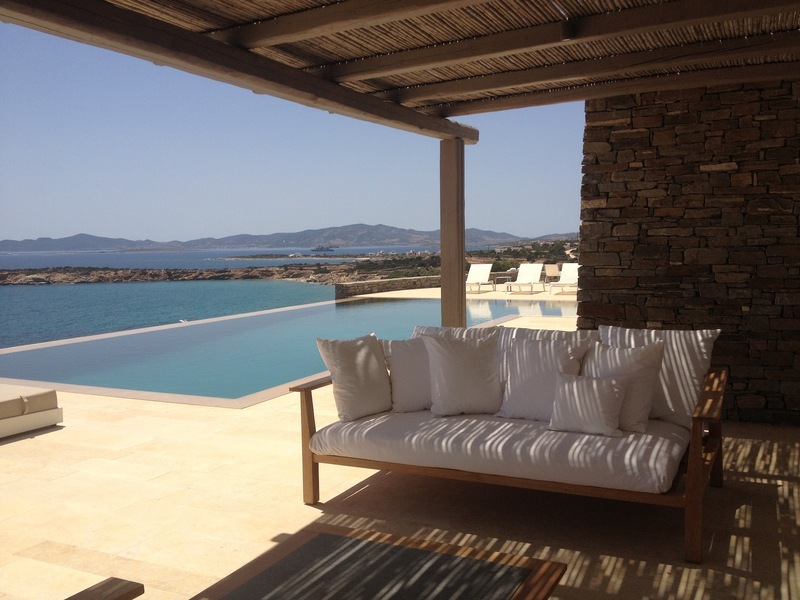 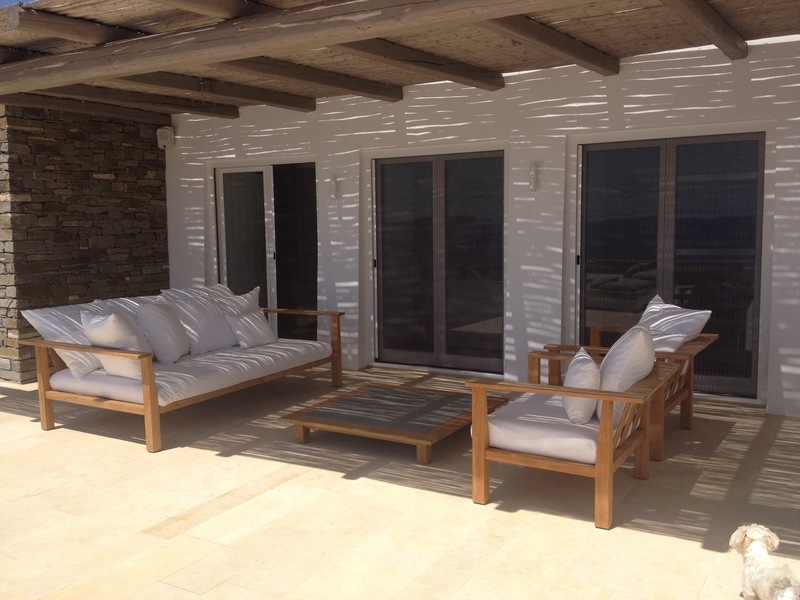 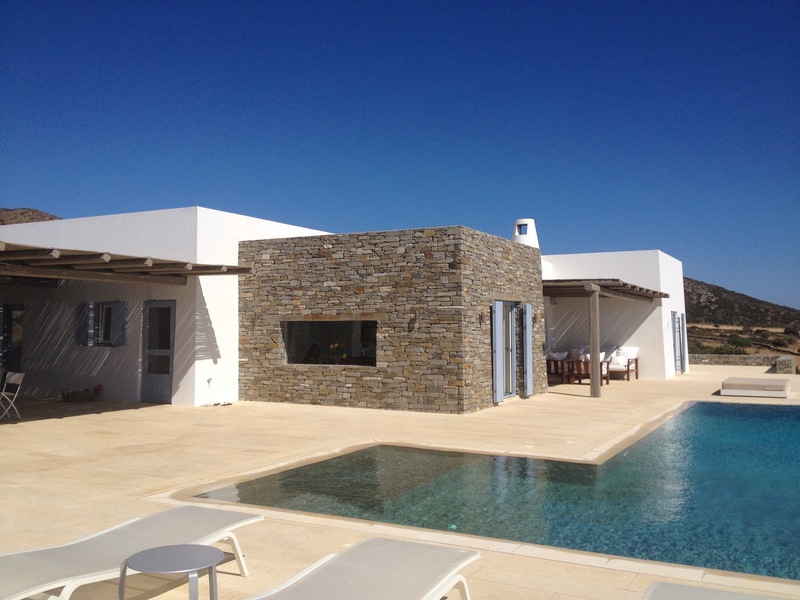 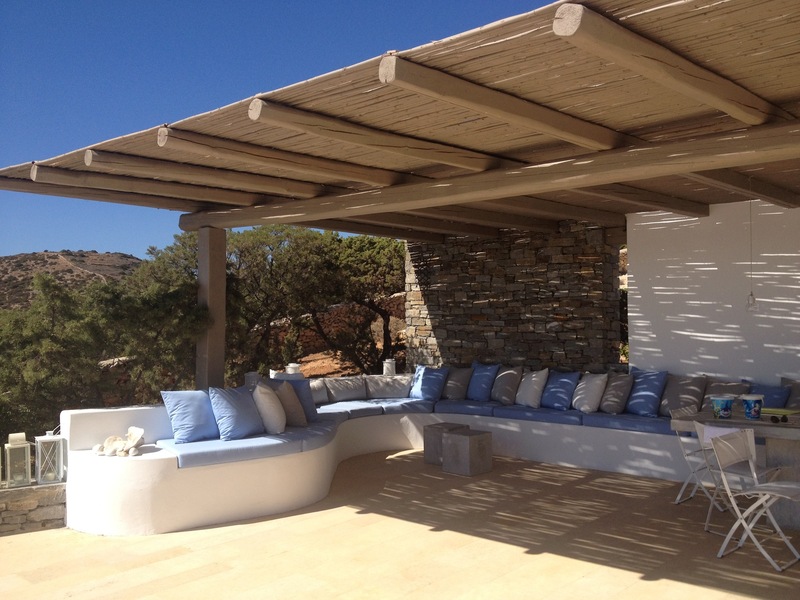 The luxury villa in the south coast of Paros that enjoys a privileged location only 150m to Farangas beach. 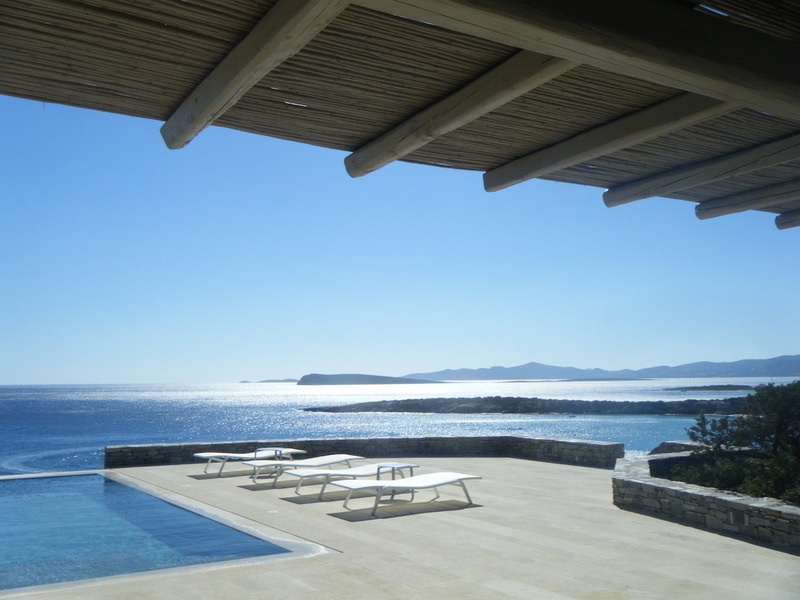 Take friends and family – up to 14 guests – and enjoy privacy, but also the experience of amazing sandy beaches, surf, beach bars and cool restaurants. 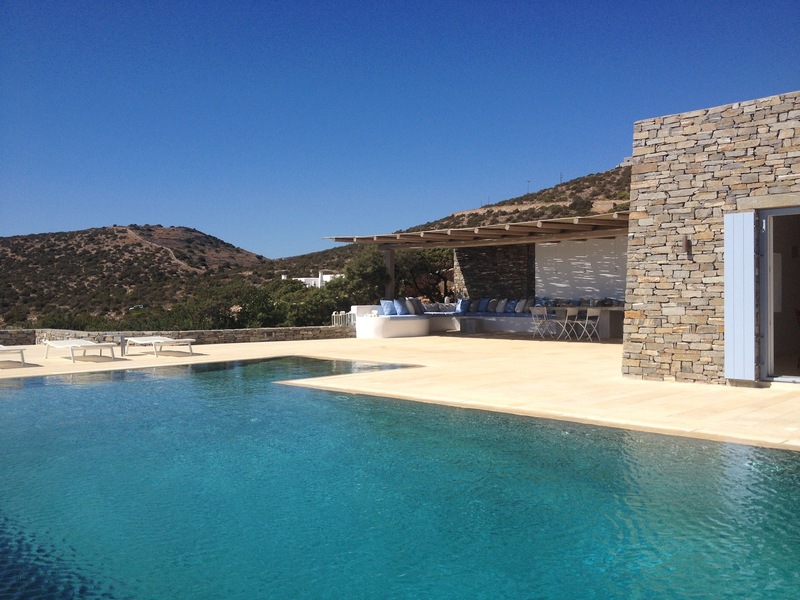 It’s very popular so make sure you pick the dates early! 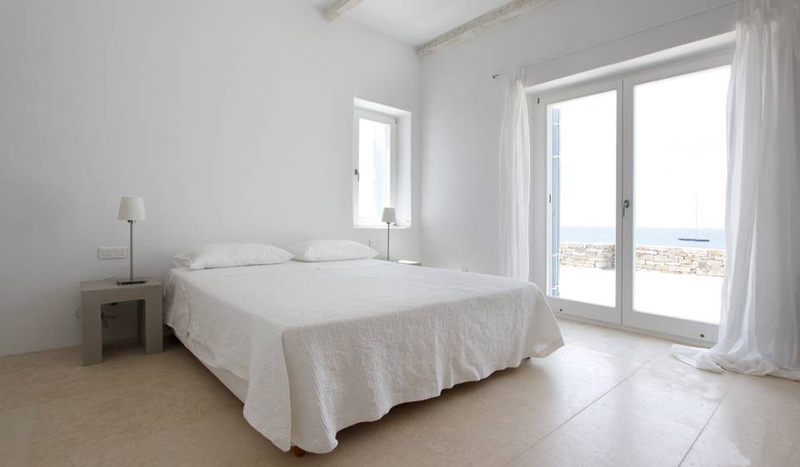 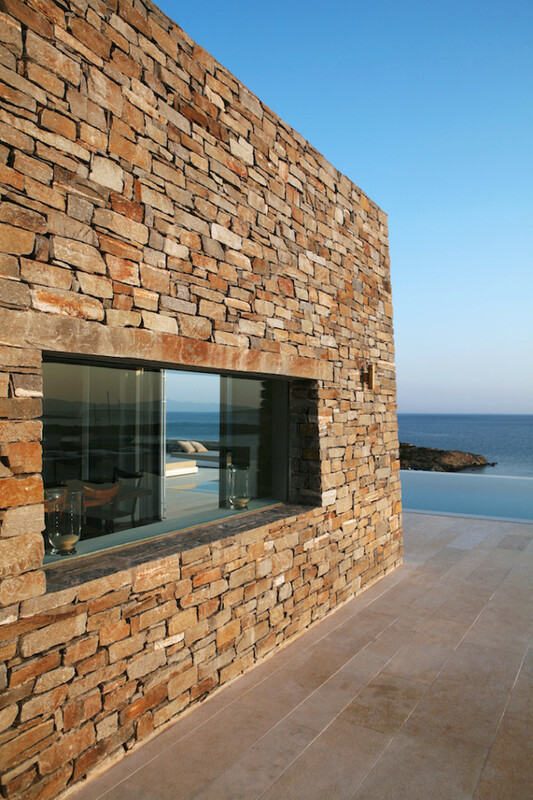 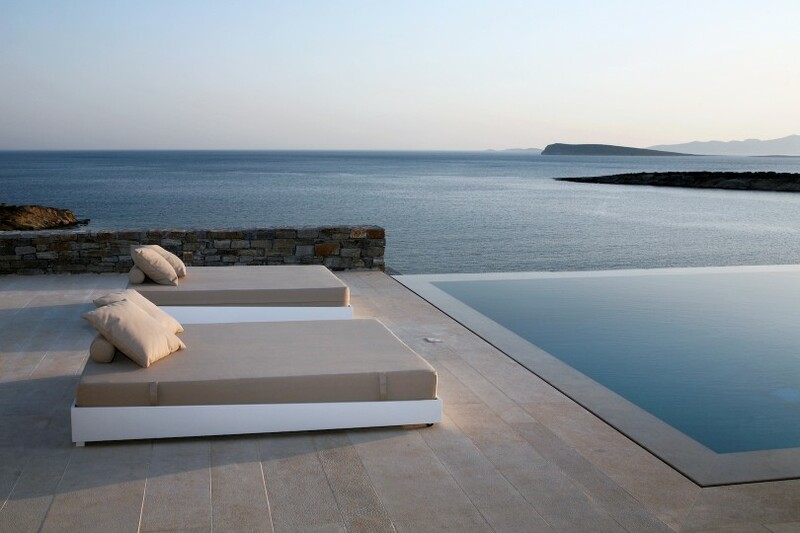 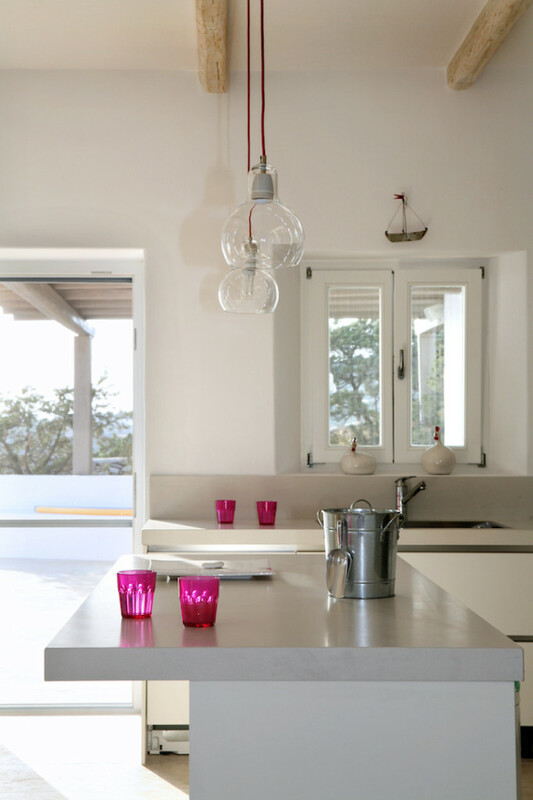 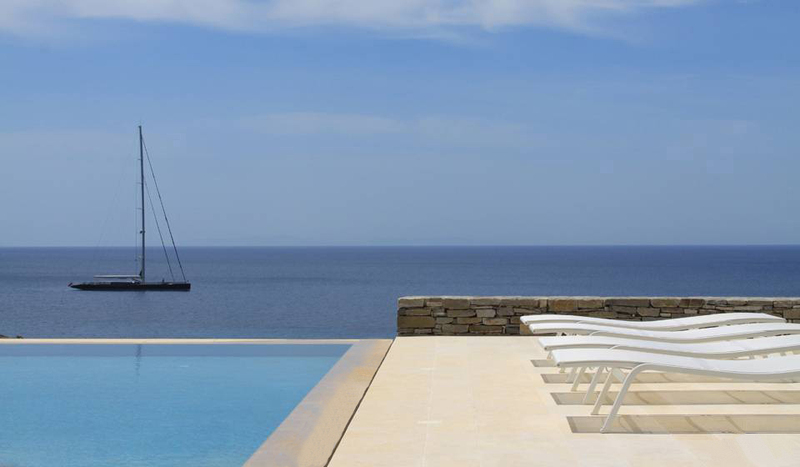 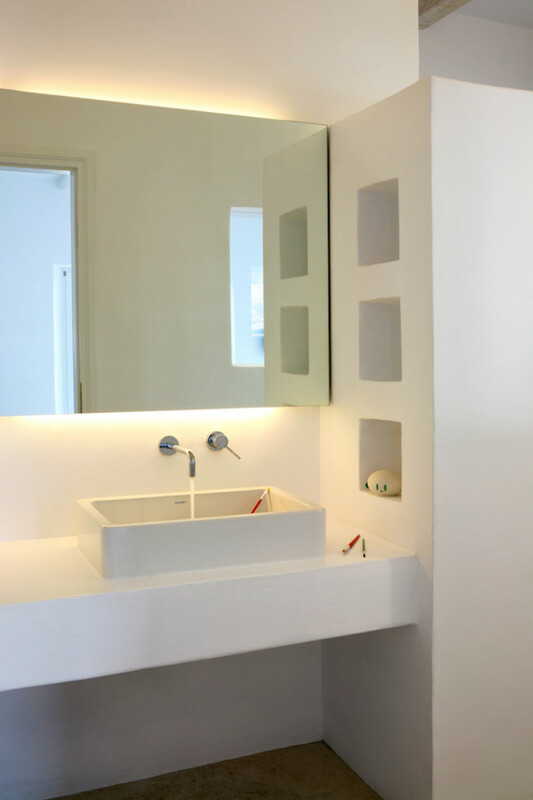 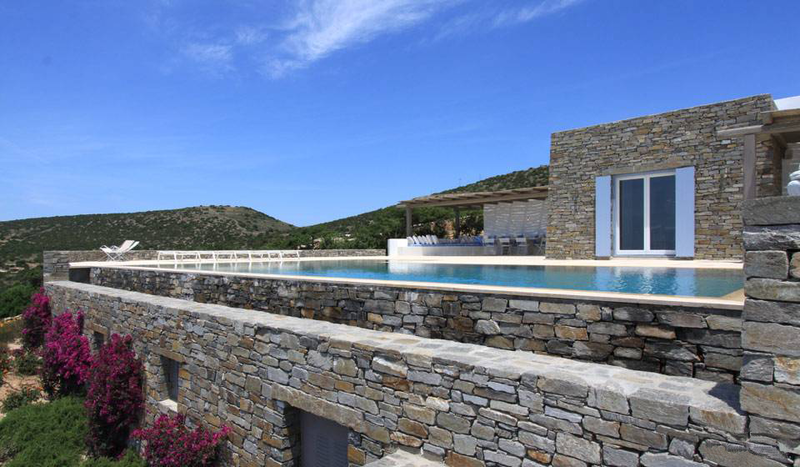 Villa boasts traditional Cycladic architecture, and has minimal interior features. 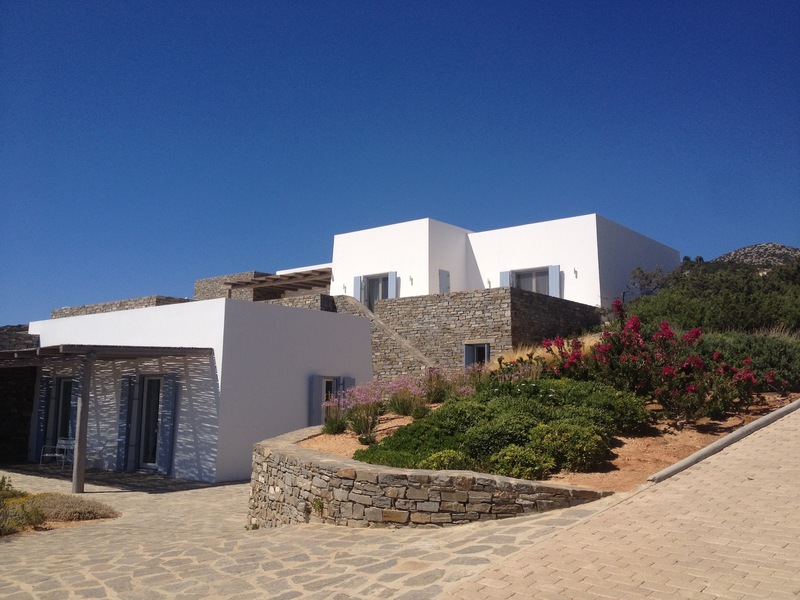 It consists of a main house with 4 double bedrooms with en-suite bathrooms, kitchen and living room, and two independent guest houses with double bedrooms and kitchenettes. 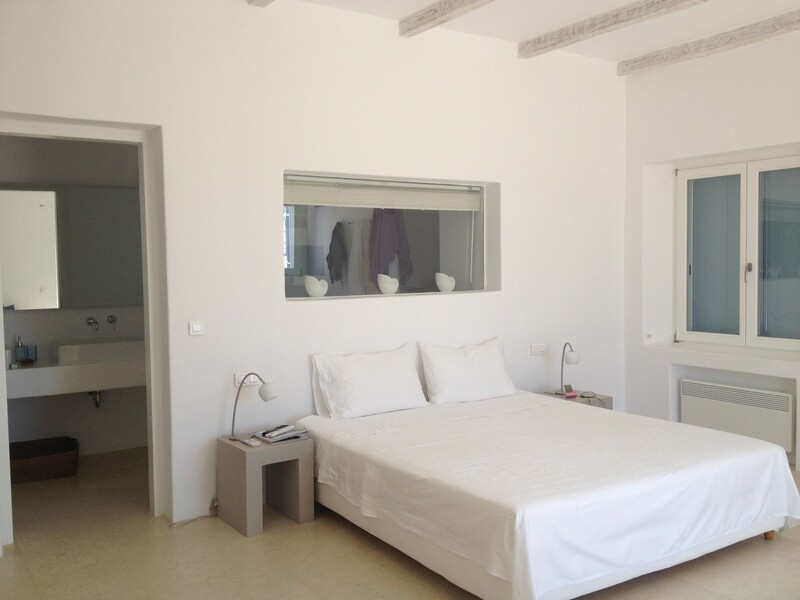 There is also another independent bedroom with en-suite bathroom for staff. 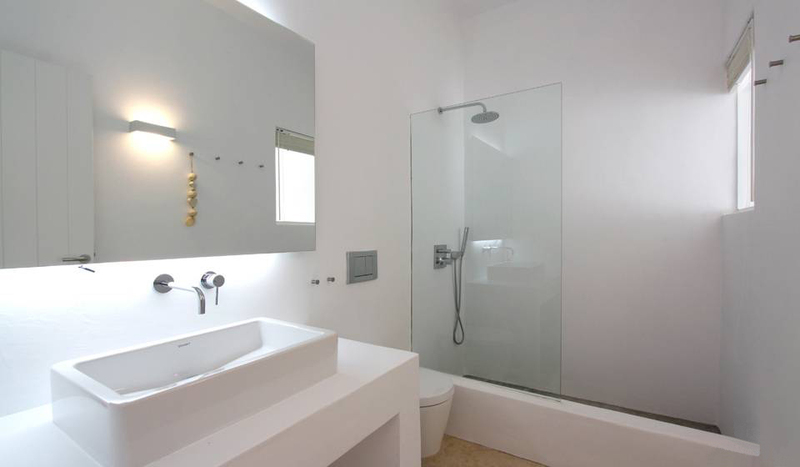 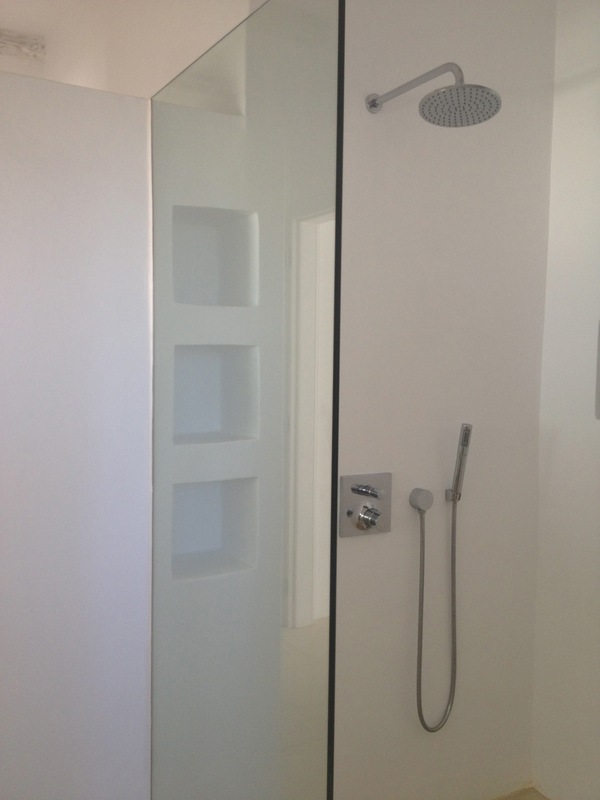 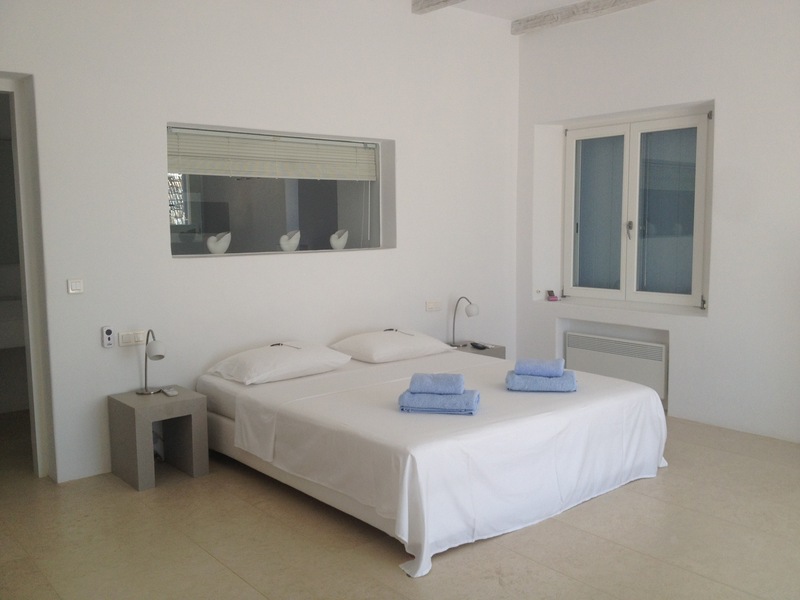 -1 Bedroom with twin beds, en-suite bathroom, air-conditioning, Wi-fi. 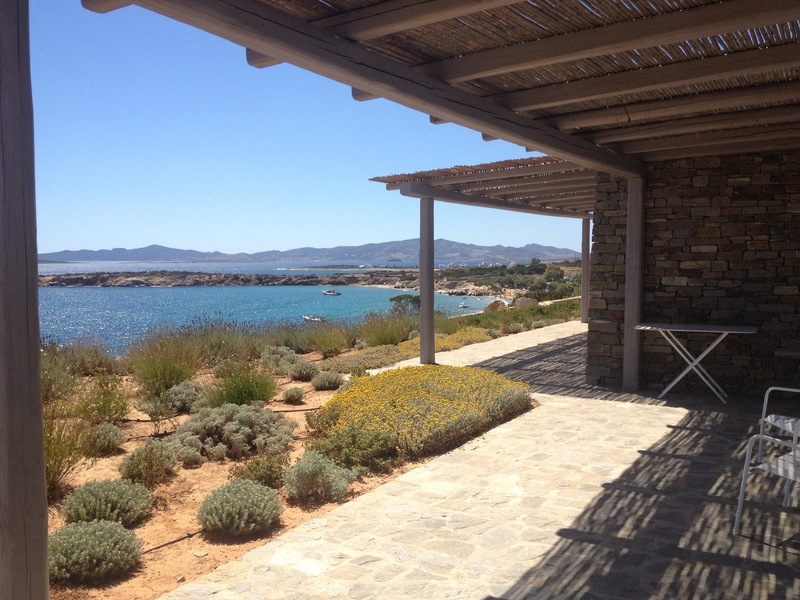 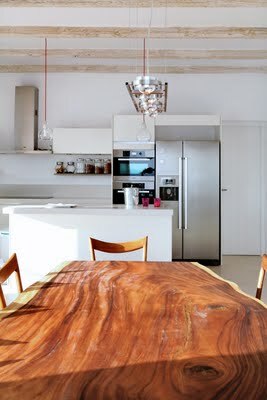 -Fully-equipped kitchen with access to outdoor dining area. 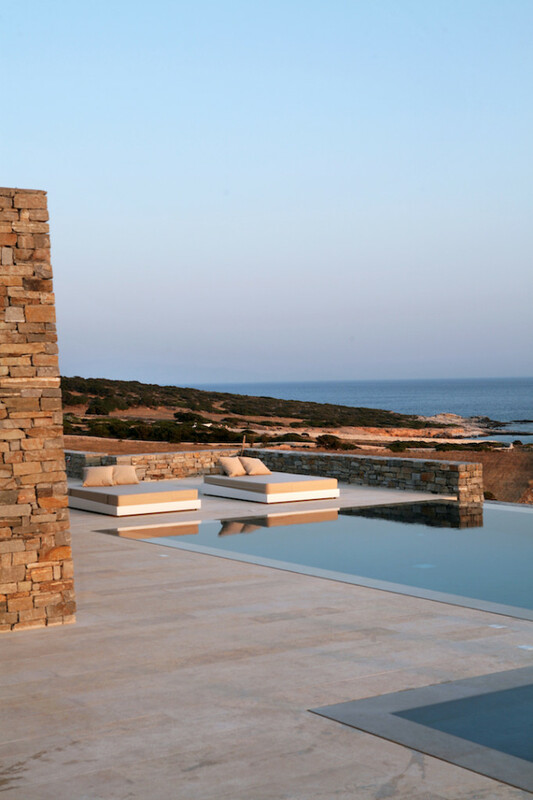 Outdoors, you will find the huge pool terrace wonderfully inviting, with its built-in sofas, stone walls and wooden pergolas. 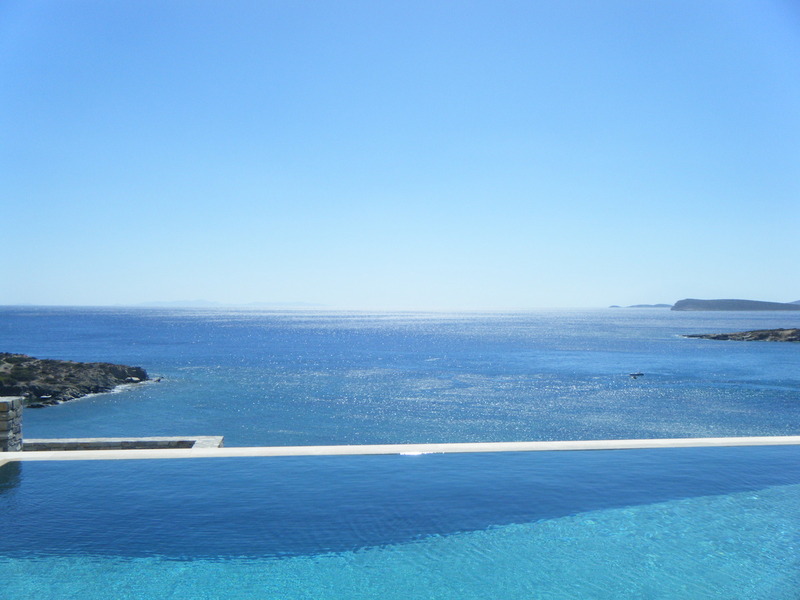 Several sunbeds around the infinity pool will ensure your time in the sun is comfortable. 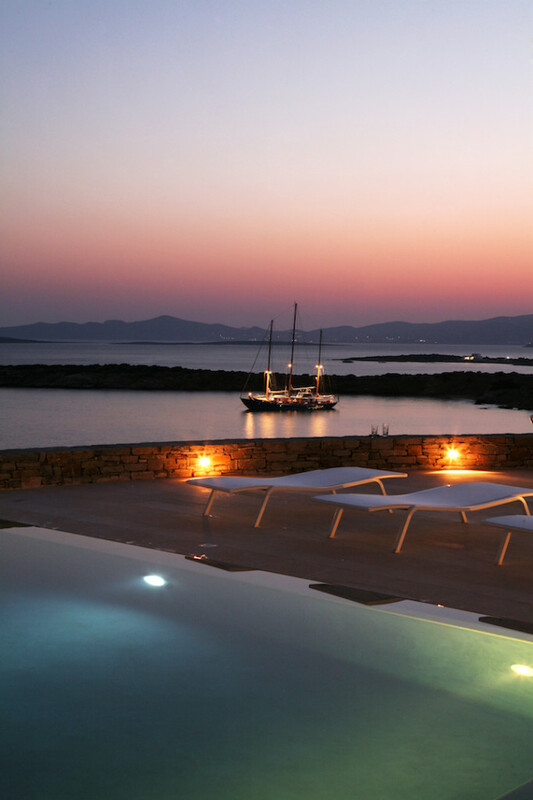 In the evening, create your own atmosphere with the outdoor sound system, barbeque facilities, and amazing views, and enjoy the sunset with your friends or family!